Chemical physicists constantly strive for a more complete understanding of how the universe works. What determines the structure of an atom? Why do molecules behave the way that they do? Chemical physics seeks to answer these questions by applying principles of both physics and chemistry. 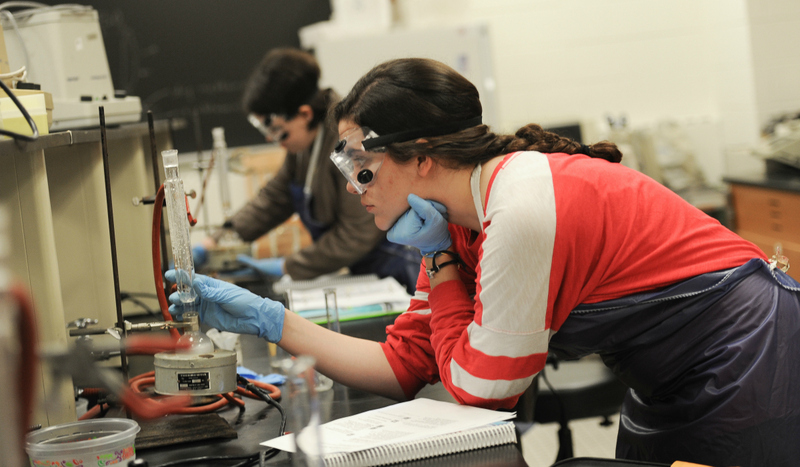 At Catholic University, you will study chemistry and physics as part of a liberal arts curriculum that includes courses in subjects like literature and philosophy. These classes will complement your science training, helping you to become a creative thinker and a strong writer. As a chemical physics major at Catholic University, you will have the opportunity to participate in research projects, either under the guidance of a Catholic University faculty member or with an internship at one of the many laboratories in Washington, D.C. Hands-on research experience will put you on the right track for a career in the sciences after graduation. Internships in laboratories in D.C.
A broad understanding of civilization and ethics is essential for the modern scientist. In your first year at Catholic University, you will join a small learning community of students taking courses in theology, philosophy, and literature. These courses will challenge you to consider the role of science in society, and show you how to use your skills for the greater good. As a student at Catholic University, you will gain access to the many resources the city has to offer. The nation's capital is home to one of the world's most active scientific communities, and organizations like NASA and the National Institutes of Health are just a short trip from Catholic University's campus. Washington, D.C. is rich in culture as well: museums, lectures, libraries, and concerts provide exciting opportunities both on and off campus. Catholic University offers the resources of a large university - state-of-the-art laboratories, exciting research opportunities - while fostering the sense of community typically found at much smaller schools. Professors and classmates will quickly become mentors and friends, and you will develop meaningful relationships that last far beyond your time at The Catholic University of America. Scientists with interdisciplinary training are always in high demand for a wide range of career opportunities. 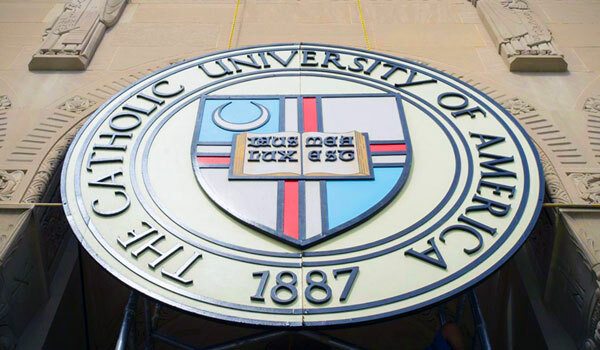 Catholic University graduates have gone on to pursue graduate study, establish careers in science education, perform research with government agencies, and enroll in medical school. A major in Chemical Physics at Catholic University will give you the tools you need to succeed in numerous fields: in addition to a thorough knowledge of physics, chemistry, mathematics, and computer science, you will also be able to think critically, write effectively, and argue logically. For more information, please contact Cynthia Brewer, advising coordinator.